The WCFPC is also pretty interesting in itself. We also happen to get much of the world’s tuna from this area. 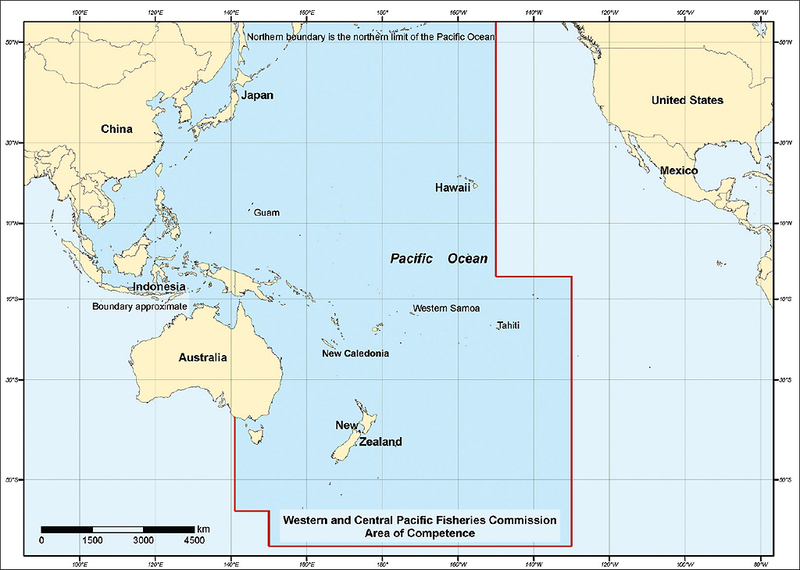 The Western and Central Pacific Ocean (WCPO) accounts for an estimated 53% of the world tuna catch. That’s canned, sushi, and steaks. It’s even more if you look at a few of the big species. 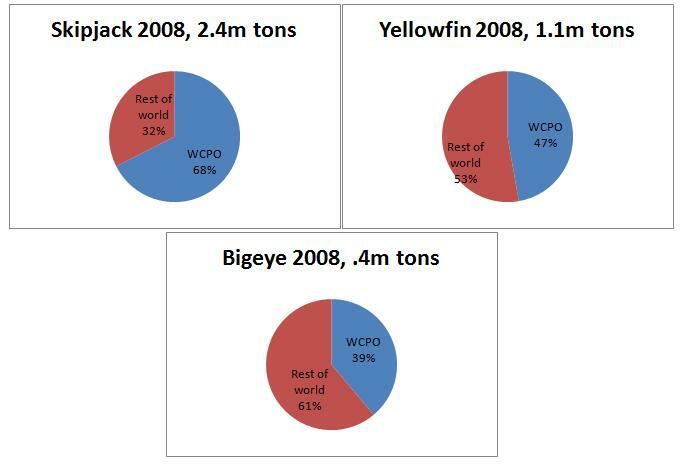 Here is the 2008 WCPFC/World catch of skipjack, yellowfin, and bigeye. Finally, the WCPFC is the newest RFMO out there. Regional fisheries management organizations (RFMOs) exist to manage some mix of highly migratory fish stocks and straddling fish stocks in a defined area of the ocean. RFMOs have been around for quite a while; roughly they’ve been in use since the 1950s. There is some debate as to what makes an RFMO and what makes an international treaty. I won’t get into that here. New, in this case, has meant the incorporation of the best pro-conservation language. This includes such things as the precautionary approach, biodiversity protection, sustainable use, and reducing waste. Check out the convention text here, if you so please. There’s a big difference between it and the convention text of, say, the International Commission for the Conservation of Atlantic Tunas (ICCAT) set up in 1969. Up until this last meeting, though, things have been going pretty smoothly.